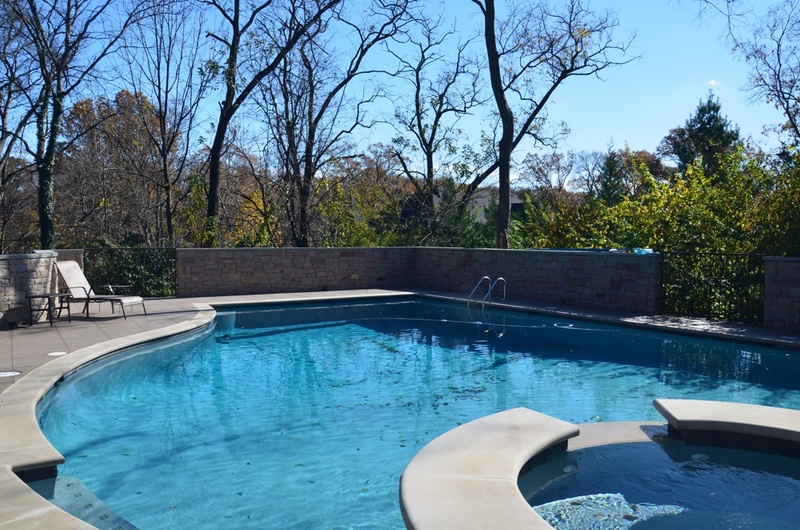 For this repeat client, we added a custom pool, patio, outdoor kitchen, fireplace and cabana to the rear of the property, and also converted unused basement space into a changing room with full bath and entertainment area. We also added a screen-in porch attached to the existing kitchen overlooking the pool and patio, and enclosed the entire area in an attractive and functional enclosure. Note the heated spa spilling into the pool, flame mahogany cabinetry, finely-crafted rock work, and custom iron work.